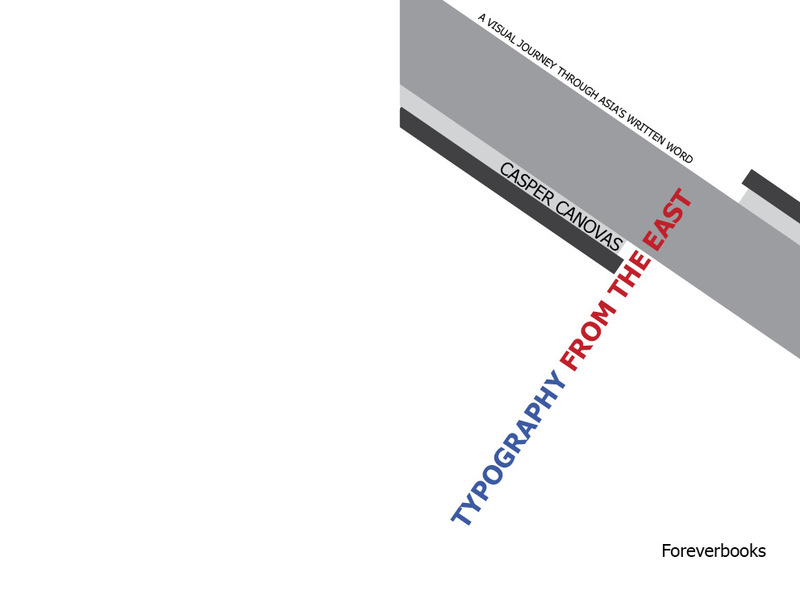 This is the 4th assignment from 3rd semester, the assignment were to design the book cover for an book about typography from the east (east meaning Asia). According to the assignment brief the cover of the book and pages 4 to 7 should be designed. The four pages inside are the ones after the two black pages consisting of the one against the cover and the one facing that one. The first page mentioned in the assignment brief is the backside of the first sheet in the book. One should use the text provided in the file “boktekst” and since the cover are slightly larger than the interior pages I will need to design using two separate files. The bar-code is also provided. The assignment emphasizes that the book is written for western readers, this I interpret as the book is written for European and North American readers. This should and will be reflected in the content and design, this and the fact that the book is about Asian typography which includes different sets of written languages. I look at this book as a “mini tour” or “get started” on typography from the Asian part of the world because the topic is really to large that one can get much out from just a single book (even if the book is over 250 pages thick), so this book is probably more for the average reader with a little over the average in interest in history of the use of language and typography. An designer or any other that works with typography, and would probably be interested in the topic would find limited usefulness in this book and less academic use. Therefore I will focus my design so that it can catch the eyes of an average literature reader. I went through two different concepts when working with this assignment. The first idea I worked on were to visualize the title of the book with an Arabic inspired font. The second concept was to use ideas heavily inspired by propaganda literature and posters from communist-oriented countries like North Korea and Russia etc… This second concept lead me into a better resulting direction and worked better, I will get more into this idea in the following sections of the report. The propaganda-inspired design came as a direct result after gone completely away from the original idea and in light of the feedback I got from fellow students I tested the design on. I had to choose and to what extent I should actually use elements that were directly inspired by this style since I could in the worst case, risk that the book would give an impression of being something it should not be. I chose to use a font that matched the Latin alphabet as we are used to since the book was written for western readers. 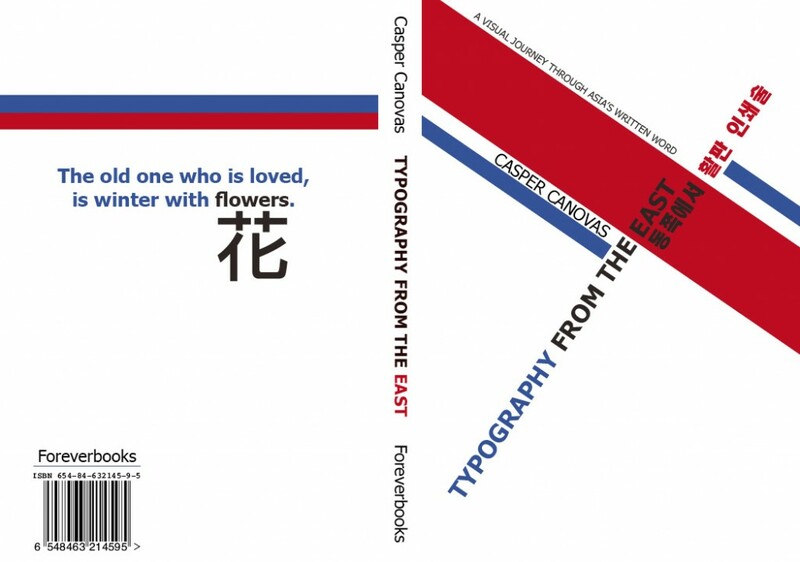 To involve the use of eastern alphabets and visualize some of the content I chose to take the Korean translation of the name of the book and the Japanese character for flowers as parts of the books design. The colors are inspired by the North Korean flag and propaganda posters from the former Soviet Union. 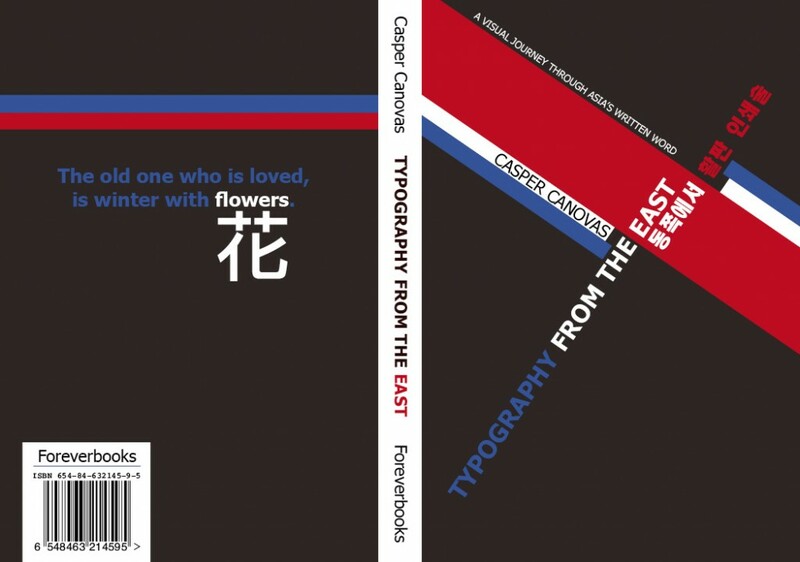 Overall, the meaning of the font, use of special characters from non-Latin languages, use of color and angles combined to make the book cover eye-catching. The design is also drawn partially into the way the pages inside the book look like. The first part of the process and also something I came back to several times were to look at different designs and use of typography from different parts of Asia, I did searches on a number of good keywords and phrases that gave a lot of good source material. The first idea I had were to use something Arab inspired and the result which I think is very “in” as it is reminds me of the text that people stick /write on their walls and the book’s visual character became like a wall in itself and quite conspicuous, but I could not get the title, subtitle and author names to fit in the whole. After showing other students my design I received harsh criticism and was advised to consider a different direction, and I was tipped off about some web resources I could check out to find another direction. It came to the propaganda idea, originally conceived with the use of Russian letters. The version with Russian letters did not work, simply due to the Russian letters in themselves. Therefore I tested with Korean characters. “Typography from the east” written in Hangul: 동쪽 에서 활판 인쇄술. The first 2 letters is the translation of “the east” the next 2 are “from” and the last 5 means “typography”, this is of great importance to the design as it lets me do the same parts of the sentence in white and others in colors and the color are on the same words in both languages.These words using the font HeadLineA did a much better impression and were what made that I actually could progress on the idea. Since I had opted for Korean letters, I found it only natural to find some colors used in one of the Korean countries. The blue and red colors I found in the North Korean flag and the deep red (almost black), I found, in collaboration with a fellow student who thought it was too easy and boring with a white background. The lines are set in order to simulate the Korean flag and also underpin the slightly stiff style of propaganda that was and is probably still used widely in different countries in the world. 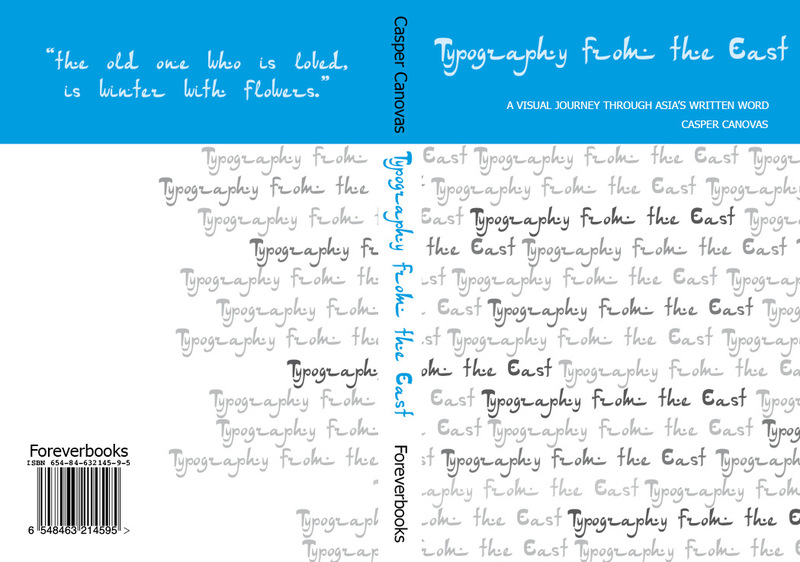 The lines I reused as a graphic element on the back and inside the book. The back worked very well with just the text that the assignment said should be there, but worked even better when I got the Japanese character for the flowers put together with the word it is a translation for, “Flowers” written in Japanese with the Latin alphabet, “hana“ and in Japanese Hiragana: 花). In this task, I have spent mine time very well and I had time to change direction in the last few days without it affected the final product in any negative way, actually rather positive. The assignment has a very wide visual range for me to pick ideas from and since I actually have not seen the final content of the book, I can say that I have had freedom in this area to chose myself, except that the chapters that had titles. It is almost impossible not to be able to deliver as a designer when I can say that the design is based on the content of the book freely, as the contents of the book does not exist for us students to read. The result I came to, I am very pleased with, and it reflects how typography can be used in such a way that the book’s target audience can directly associate themselves with it. The book will quickly tell the reader what expectations one should have. If I had continued with my first idea I’m reasonably sure I would not to the same extent be satisfied with the result. 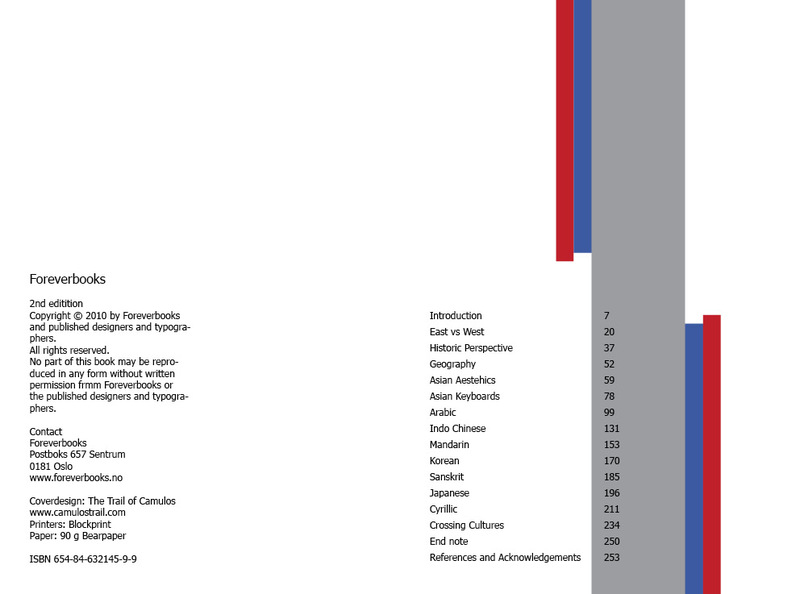 I was very happy to be able to use InDesign extensively in this assignment, even with a slight touch of Illustrator. Google pictures search for ”asian typograghy” were among the search phrases that gave good inspirations.